NOT everyone is lucky enough to travel around in their own cars. Enoch Nkwe, the coach of the Bizhub Highveld Lions, has struggled for a long time without a car. The cricket coach said one of his job requirements was to scout for new players. He said it was always a challenge to travel to other provinces in search of new players. 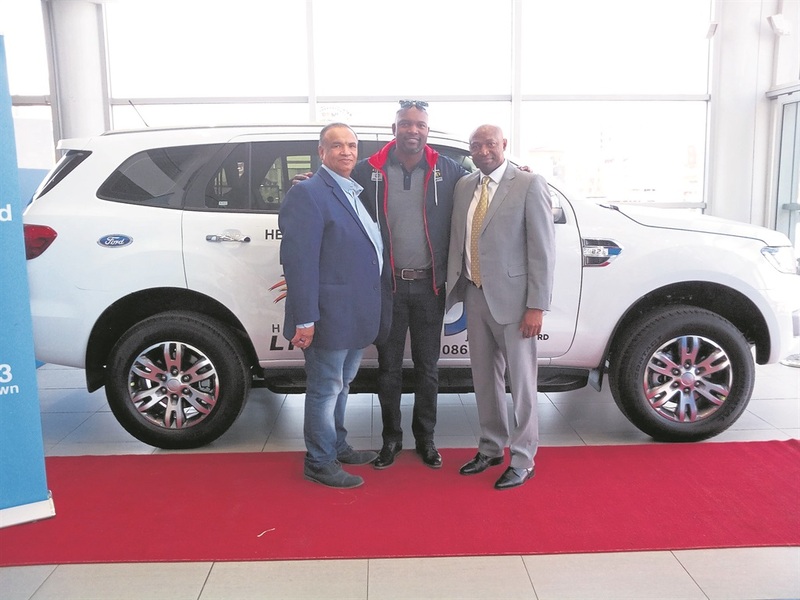 But all that changed after Joburg City Ford in Newtown, Joburg gave him a brand new Ford Everest to drive for the next three years. The sponsorship came at the right time, just when it was needed most. Enoch said it was expected of him to deliver good results for the team. “It’s the first time I’ve received a sponsorship like this. I’m very grateful for it,” he said. Enoch said he looked forward to doing the work he was hired to do. He said the car was a dream car which anyone would be excited to drive. He said the sponsorship proved he was doing a good job with his team. The 2.2 diesel SUV can move on gravel, mountain and tar and this excited him a lot. The man from Greenstone in Edenvale, Ekurhuleni, said he was excited he would finally be able to take his family, especially his mother who lives in Soweto, wherever they wanted to go. Enoch replaced Geoffrey Toyana as the coach of the Joburg team. He also played for the Highveld Lions during his prime as a player in the early 2000s. He said he enjoyed his job because cricket was one of the top sports in Mzansi. Stephen Nale, managing director of the car dealership, said it was not the first time they had sponsored coaches who were doing a great job. He said they would continue to do so. Another coach who’s received some wheels from them is Jomo Cosmos coach, Jomo Sono. One of the dealership’s partners agreed to sponsor the coach with fuel during the three-year sponsorship.